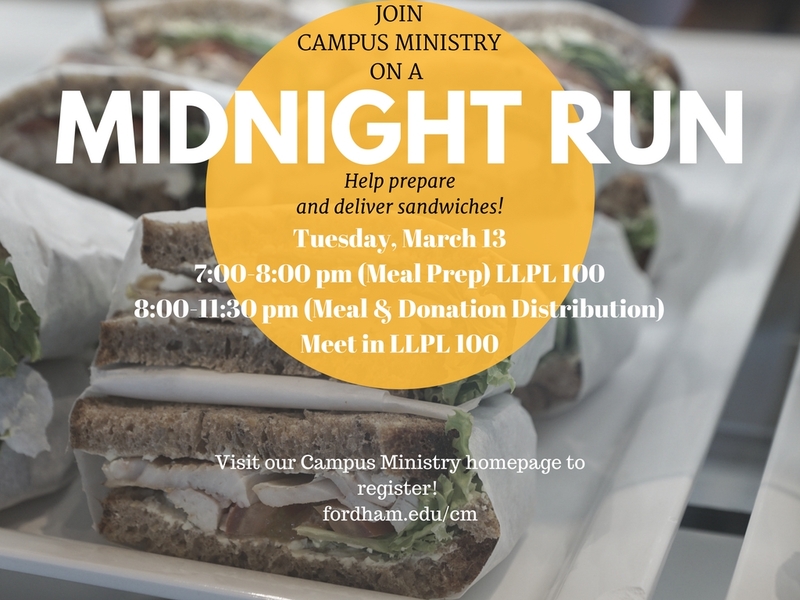 Join Campus Ministry on a Midnight Run! 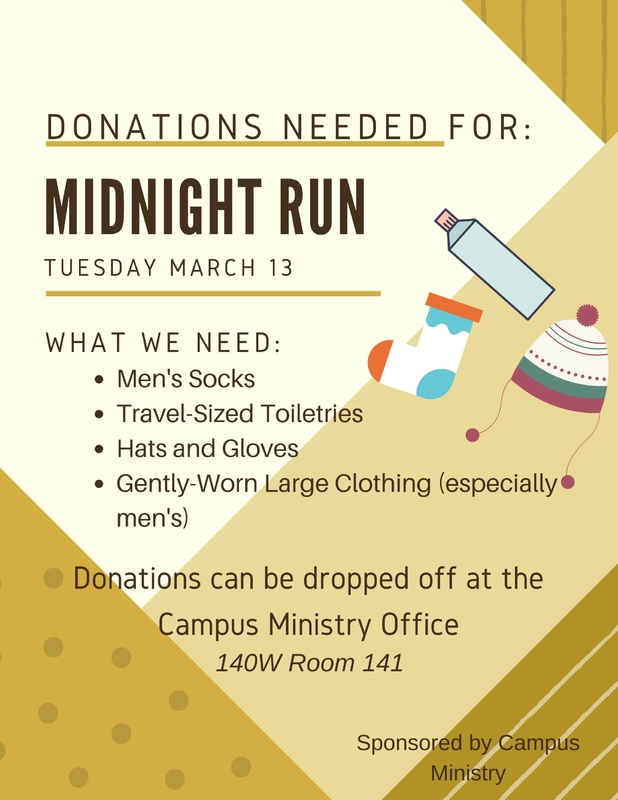 Help prepare sandwiches, collect items, and deliver donations. The link to register is below and check out the attached flyers for more information about dates and donations. Theology professor, Fr. Scirghi, will be speaking on his life experience and personal philosophies. Come learn what matters to him and why! Join us Tuesday March 14th, 7:30 PM -8:30 PM in the Ignatius Room! Light refreshments and coffee will be served!